Hello, hello! It feels so good to be back tapping away in this online home of mine as we get back in the swing of familiar routines. You know that tugging feeling when you’ve got heaps to catch up on with a dear old friend, and you don’t quite know where to start so you just break the ice by giving one another a hug? Well, that’s exactly how I feel with you! I have an exciting amount of content to lean into and write about here, and I feel more inspired and renewed than ever to keep curious, to create, and to share it. But because I don’t know where to start, and my brain is bubbling over with stories and recipes and rhythms, I’ll share a preview of things to come, because sadly, I can’t exactly give you each a squeeze. France! | For those who followed our adventures abroad on Instagram, you know how connected I am to the magical city of light and all things Parisian. I’ll be sharing quite a bit about what we did, ate and saw as a family, plus many photos of our travels around the city and in Annecy, France. This will most likely be a two to three part post, because I love, love, love you, Paris. Running | I’ve started running to get my body moving and I want to share this wellness journey with you. Running does not come easy to me, like it does my husband, so I think writing about the trials of running as a non-runner could help some of you who want to give it a go. A Rhythm at Home PDF | I am in the middle of creating a Daily Rhythm at Home PDF, similar to this one, to share with you as we move into autumn and school seasons. We do part-time school and homeschool, so I am going to make this PDF adaptable for families who crave rhythm but have overlapping schedules. August & September Book Club | Don’t worry, I’ve been reading and I hope you have been too! More to come this week as we finish up our two books, Upstream and Big Magic. One Day Farmhouse Bread | Do you have a one day bread recipe? While I love this simple, rustic no-knead recipe by Mark Bittman, I do not love the time involved. I have a recipe to share that I started at 8 am and finished after church in time for supper around 4 pm. It is a game changer, you guys. Gardening with Your Local Community | I have partnered with Harvesters this year, a Kansas City food bank, and I have some great ideas on how to get your kids and garden involved in helping feed your local community. 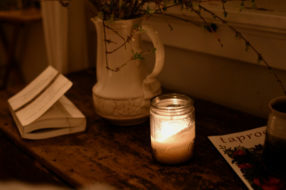 Morning Reading Rituals | With hopes to freshen up our mornings and get back into the groove of reading, I have a few new morning rituals we are going to implement this season involving books! Weekly Book Themes | In keeping with my passion for reading, the kids and I are going to start up weekly library visits again, but this time with weekly book themes. This is something I did when I taught 4th grade and ESL and the kids loved it. It gets them involved in a intentional way that gets us talking together about what we are reading. A Simple French Meal from Start to Finish | Inspired from our travels to France, I have a simple French meal to share with you from start to finish. It can be made in under an hour and is perfect for couples and large families. Things I Learned at a French Cooking School | Each year for Christmas in Andrew’s family the adults draw names for gift giving. Last year Jim, Andrew’s dad, drew my name and he got me cooking lessons for our family trip the upcoming summer. Our travels abroad were to celebrate their 45th wedding anniversary, so all of us traveled together, however this was a solo excursion. This cooking class was possibly the best gift I’ve ever been given, so thank you Jim! I learned so many new techniques and tips, and had a memorable day at the market, in the kitchen, and around the table with new friends. Creating Homes within a Home | As you know, I love nesting and rearranging to liven up spaces within our home, so this post will give you some ideas on how to create nooks and cozy crannies within the rooms of your home as we move into the colder months. Tips on Planning an Autumn Harvest | Our summer garden was pretty blah to be honest, especially after two weeks of travel, but I have high hopes to plant soon for autumn. I’ll share the process with you. 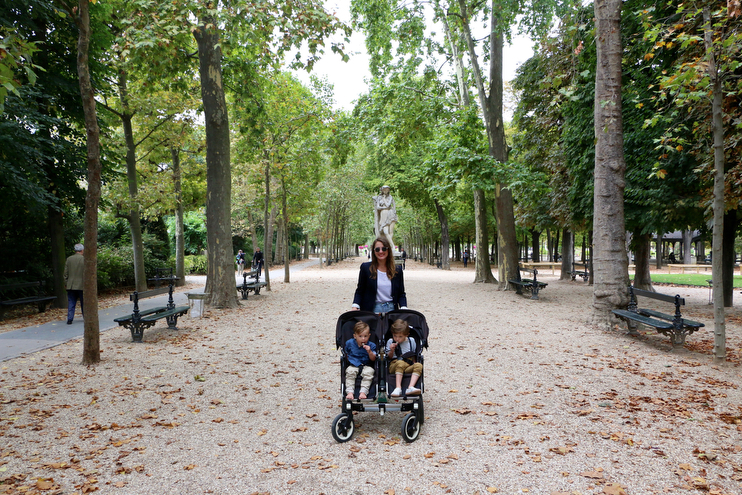 Traveling Abroad with Kids | Travel with kids is both crazy and wonderful. I am going to share it all with you, plus some general travel tips for planes, trains, and automobiles if you have kiddos in tow. Tip one: suckers. Puppy Training With Kids | Many of you have emailed me and asked how puppy training is going and all I can tell you right now is that it’s going. Details to come! 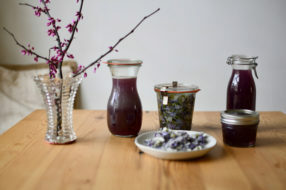 Canning and Preserving Basics + Simple Summer Recipes | One of my favorite things to do come late summer is preserve the bounty and beauty of this tasty season. I’ve got some simple canning techniques you can use to make canned tomatoes, sauces, pickles, and more. Zero-Waste at Home Part II – Packing Food to Go and Packing Lunches | This will be more of a back to school post showing you how to can practice zero-waste living on the go. Morning Granola | There is something like 530,098 granola recipes out there, and I will be adding mine to the bunch. It has cinnamon, coconut, dried blueberries in it! Painting Tricks for Kids | The kids are all about painting and I have a few tricks up my sleeve to make this craft really fun for them. Why Simple Acts of Love Matter | This is more of a reflection on current world events today and why I believe, more than ever, that simple acts of love and kindness are essential. Age Appropriate Chores for Kids PDF | Chores for kids? Sign me up. I have a PDF in the works detailing age appropriate chores for kids from 2-10 that will hopefully help everyone out a bit more at home. If you use 2 1/4 teaspoons of yeast, Mark Bittman’s bread will rise in 4 hours. I’ve been doing it for years. Wow! I’m looking forward to reading all of these upcoming posts. This simple list post is beautiful 🙂 Thanks for sharing your plans for content – I’m excited to read more about your canning tips + recipes (since I’m trying to get into canning this year) and your Why Simple Acts of Love Matter thoughts! Lovely as usual! Your blog is my favorite. So excited for these posts! So very excited for all those topics you’re planning to share on! Your blog helps me see beauty and great joy in all things done here at home as a stay at home mom. Thanks for sharing your heart!